Living… in a cozy home with his parents and younger sister. It is the holiday season in 1950s America, and hisfamily is excited for Christmas. Visiting… the North Pole. 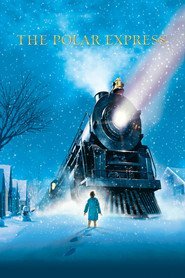 The Polar Express has come to take him there to show him the magic of Christmas. Interests… playing with trains. Hero Boy has always wanted to sound a train whistle. Relationship Status… single. Still at an age when he could believe in Santa Claus, Hero Boy is not interested in finding a girlfriend just yet. However, he does seem to like Hero Girl, and is willing to brave dangerous situations for her. Personality… brave, well-intentioned, responsible. Hero Boy is the kind of guy who would climb across the top of a moving train just to return a lost ticket to a girl. Even though he was the one who lost the ticket in the first place, how many people do you know who would go so far to right a wrong? Hero Boy's popularity ranking on CharacTour is #3308 out of 5,000+ characters. See our top-ranked characters and read their profiles.